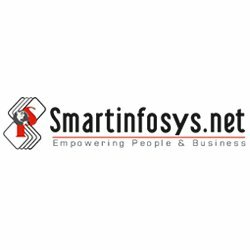 Smartinfosys is the one-stop solution for companies to develop interactive websites, online marketing and hassle free managed hosting services for your business with the aim to achieving high ranking in search engines. we mainly focus on website designing and development for both open source and Microsoft Technologies plateform. we have a dedicated team of experienced desingers, developers and SEO experts. Web design and development company offers business consultation, management and a comprehencive range of IT services.